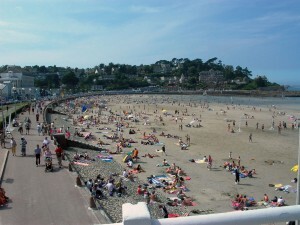 Only 100 m away, the beach of Trestraou, Perros-Guirec's largest beach, is a strategic place for the tourist life of the city: known for its fine sand and the good quality of its bathing waters, it is suitable for rest As well as activities. Beyond the beach and the swim, you have to imagine everything you can do nearby. There’s so much to discover and enjoy for visitors of all ages!